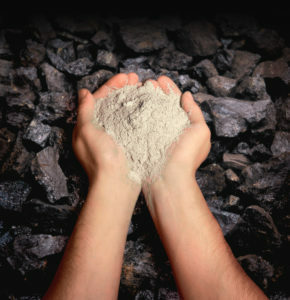 Many industrial by-products commonly thought of as “waste”—including coal combustion products, ferrous and steel foundry sand and slag, cement/lime kiln dust, and wood and paper mill ash—have economic, environmental, and/or product-enhancement benefits that can be harnessed via collection and reuse, rather than disposal. Beneficially reusing these by-products in various applications in place of other, sometimes virgin, materials can save landfill space/costs as well as the energy and emissions that can be associated with the manufacture of these other materials. Lower costs associated with coal ash disposal, generate revenue from the sale of coal ash, and produce savings from its use in place of other, more costly materials. Improve the strength, durability, and workability of materials, such as concrete. 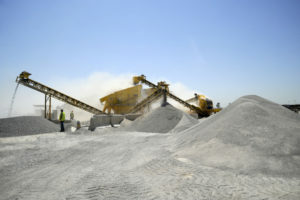 Reduce requirements for the use of construction materials, such as portland cement, whose production generates high levels of greenhouse gas emissions. To learn more about coal ash recycling and reuse, see section immediately below. Foundry sand can be beneficially reused in place of virgin materials as fill material in road and construction projects, while foundry slag can be repurposed in low-strength concrete applications. Lime kiln dust can be used as a cementitious material in mortar. Wood ash has value as a soil amendment in home gardens. According to the U.S. Energy Information Administration, in 2017 over 1.2 trillion kilowatt hours—almost one-third of America’s electricity—was generated by burning coal. Generating that much electricity produces large volumes of coal combustion products (“coal ash”)—solid materials left over from the combustion process. The American Coal Ash Association estimates that in 2016 approximately 107.4 million tons of coal ash was produced. The good news is that over 60.2 million tons—or 56 percent—was beneficially used, marking the second consecutive year that more than half of the coal ash produced in the United States was recycled rather than disposed. There are many good reasons to view coal ash as a resource, rather than a waste. Recycling it conserves natural resources and saves energy. In some cases, products incorporating coal ash perform better, and can be made less expensively, than products manufactured without it. For instance, coal ash makes concrete stronger and more durable. The American Road and Transportation Builders Association estimates that the use of coal fly ash in concrete roads and bridges saves highway builders more than $5 billion per year. Use of coal fly ash also reduces the need to manufacture cement for concrete, resulting in significant reductions in greenhouse gas emissions. In fact, about 12 million tons of greenhouse gas emissions were avoided by using coal ash to replace cement in 2016 alone. Despite the economic and environmental benefits associated with the beneficial use of coal ash, it is sometimes misleadingly characterized—by the media, legislators, and non-governmental groups—as a toxic material. The stigma created by incorrectly labeling coal ash “toxic” or “hazardous” can make people uneasy at the prospect of using materials that incorporate it. In 2015, the U.S. Environmental Protection Agency weighed in on this issue. After years of study, the agency published its final rule on coal combustion residuals, regulating coal ash disposal as a “non-hazardous” material. Its ruling lifted the regulatory uncertainty around the use of coal ash—helping boost recycling rates to new highs and reducing the levels sent to landfills and disposal ponds. Today, major uses of coal ash include concrete, gypsum wallboard, blasting grit, roofing granules, and a variety of geotechnical and agricultural applications. Researchers work to develop the scientific underpinning for new beneficial use cases on a continual basis. Use of coal ash in concrete has reduced greenhouse gas emissions by this many tons already this year. 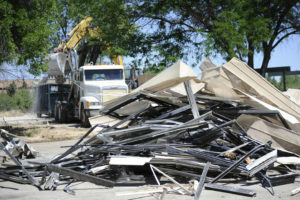 Construction and demolition (C&D) materials consist of the debris generated during the construction, renovation, and demolition of buildings, roads, bridges, and other infrastructure. According to the Environmental Protection Agency (EPA), 534 million tons of C&D debris were generated in the United States in 2014—more than twice the amount of municipal solid waste produced (i.e., everyday trash items that come from homes, institutions such as schools and hospitals, and commercial sources such as restaurants and small businesses). Concrete can be recycled and used as road aggregate, in ready mix concrete, and for soil stabilization. Wood can be salvaged and repurposed in new wood products, mulch, or compost. Gypsum drywall can be reused in the manufacture of new drywall, in the production of cement and fertilizer, or as a soil amendment. Metals such as steel and aluminum can be melted and reformed into new building products or for other uses. Recycled bricks can be reused as is or crushed and repurposed in a number of different applications, such as gravel for construction or landscaping projects. In addition to the economic value of recycling such materials, environmental benefits include conserving landfill space as well as a portion of the energy and emissions associated with producing these products from virgin materials. 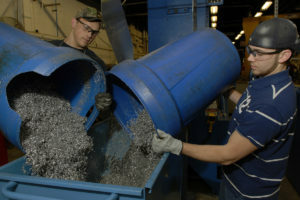 Metalworking at large automotive factories can annually generate millions of pounds of swarf—chips, filings, and shavings produced by machining operations—that can be valued highly by recyclers depending on market prices for scrap metal. Lumber yards that generate large volumes of sawdust as a part of their operations can collect the dust and use it to fire their onsite boiler-powered kilns or it can be sold to companies that utilize it to generate wood pellets that fuel barbecue grills and smokers. Textile and carpet manufacturers that create excess fabric as a by-product of operations can sort, separate, and recycle fibers that can be used to create new textile products or down-cycled into lower-value items such as furniture stuffing. Consumer goods companies and retailers have vowed to boost recycled content in their packaging to 25% by 2025, says @circulareconomy. @Starbucks is testing out a recyclable coffee cup that sports a new biodegradable liner inside in place of the traditional plastic barrier. @VTTFinland researchers have developed a device that can recycle mixed textiles and plastics without having to separate fibers. Maryland’s House of Delegates has passed a bill that would ban polystyrene containers and cups, which are difficult and costly to recycle. @HiltonHotels will collect used soap bars from guest rooms and recycle them into 1 million new bars by October 15, #globalhandwashingday.